Situated in the heart of the historic hill-top town of Nova Siri, this lovely property is two apartments. Originally they were linked by a stairway, that was removed when they were split, but this could be restored to make one good-sized home. Alternatively, each could be converted into a lovely holiday home. Both apartments have amazing views across the coastal plain down to the sea, and retain many original features. Apartment 1 is upstairs, approached up a small flight of stone steps and is around 120sq.m. It comprises a hallway, kitchen, bathroom, a large living area with tiled floor and two small balconies, a bedroom and a smaller room which could be a single bedroom or office space. 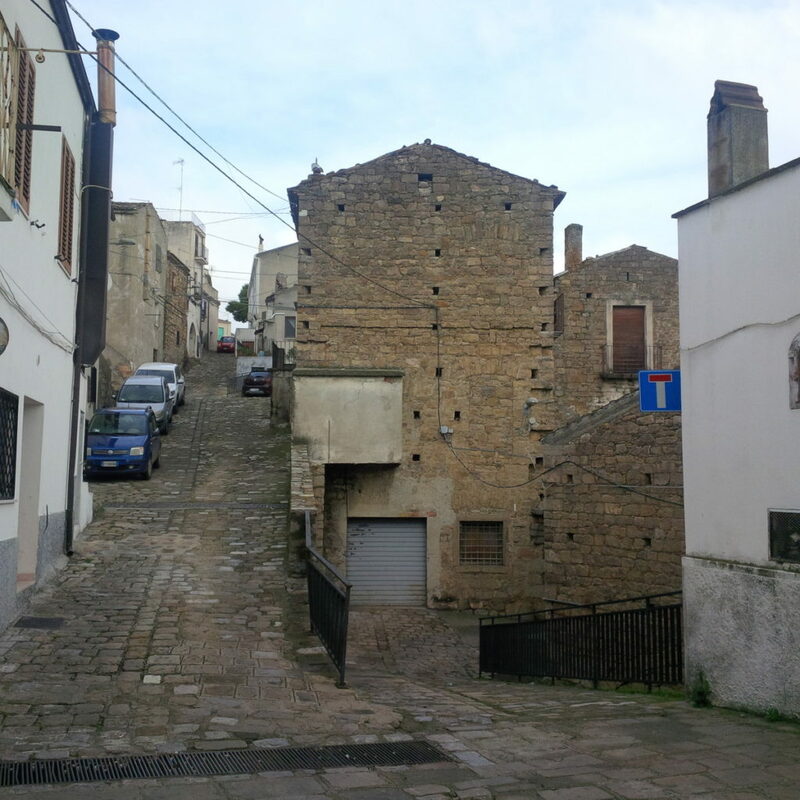 Apartment 2 is below apartment 1 and is reached by a lovely old external stone staircase from a different street. It is around 65 sq.m. and comprises a narrow external terrace, a kitchen with original fireplace, a bedroom, a living room and a small bathroom. water, power and sewage services are connected, and a gas connection is possible. Work is underway to bring high-speed fibre optic internet to the village. The building is in good structural condition, but both apartments will require redecoration and refurbishment. There is good scope for altering the internal layout. The regional centre of Matera – a UNESCO World Heritage Site and European City of Culture for 2019 – is less than an hour away. The airports of Bari and Brindisi are both less than two hours drive.